This is such a great service! 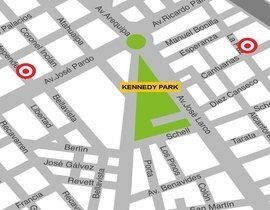 I travel frequently to Lima and taxis are always quite expensive (especially if you’re traveling alone). This is probably the safest and most relaxing way to get from the airport to Miraflores, there’s even wifi on board. It is still not so well-known, so you can get tickets without booking in advance. 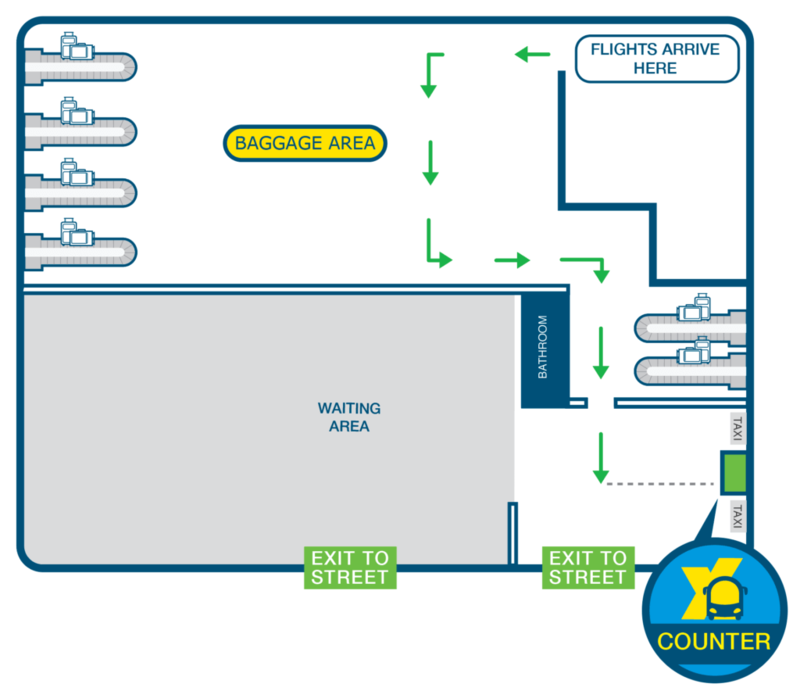 If you arrive in Lima, you will find them after having picked up your baggage and before exiting to the place where people are waiting for you (on your left). Definitely recommendable!. We used the bus to get to our hotel. 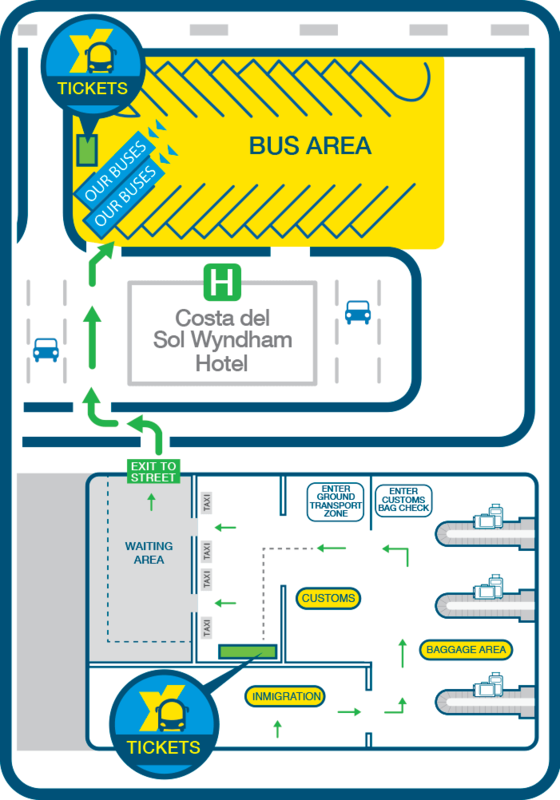 Stop literally across the street of our Miraflores hotel. Super nice staff showing us all the way to the bus. 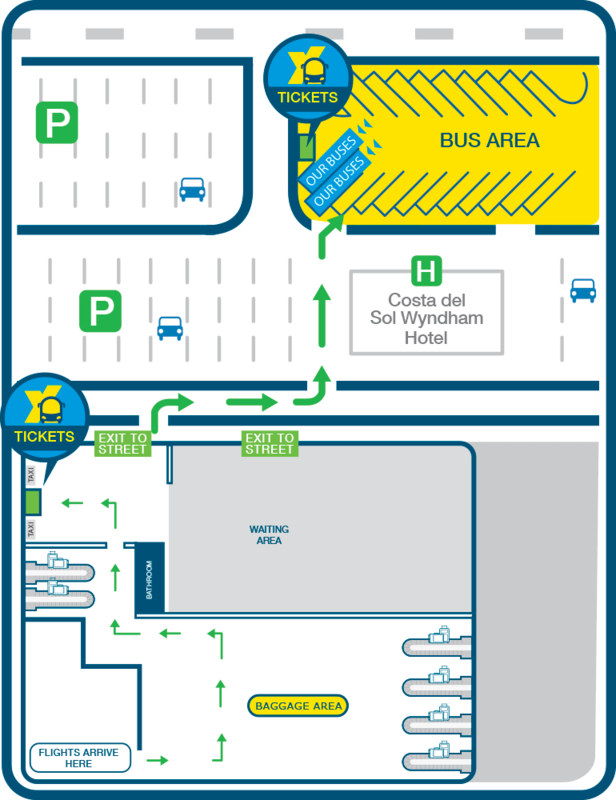 Maps of the stop area. Wi-fi and USB charging and toilet on the bus too. Great deal for just a few $. Pretty impressed with this new service, good value for money for a solo traveller who can’t split the cost of a taxi…. I used this bus on only the second day of operation, so was a bit nervous! It was advertised in emails from Bolivia Hop, so i thought I’d try it out. 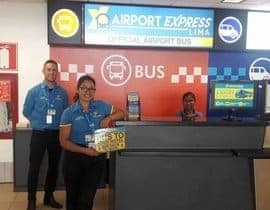 I booked a round trip online.As I left the baggage claim there was a airport express Lima booth where they checked my reservation and gave me a ticket, then they escorted me outside and a different staff member took me to where the bus was waiting. I had to wait ~20mins until the scheduled departure time (i think every 30mins), but waited on the bus with air-conditioning and WiFi so it was a comfortable wait. There was only 3 other people on the bus. It was a new coach. Staff new the location of my hostel and advised me which stop to get off at (though you can check this on their website in advance), it was only a 3min walk to my hostel. On the trip back to the airport, the bus arrived right on time at the scheduled spot (7.50am). Pretty impressed with this new service, good value for money for a solo traveller who can’t split the cost of a taxi. Airport Express Lima connects Lima Airport to Miraflores (the safest area of Lima, and home to nearly 200 hotels and hostels) in a safe and easy way. 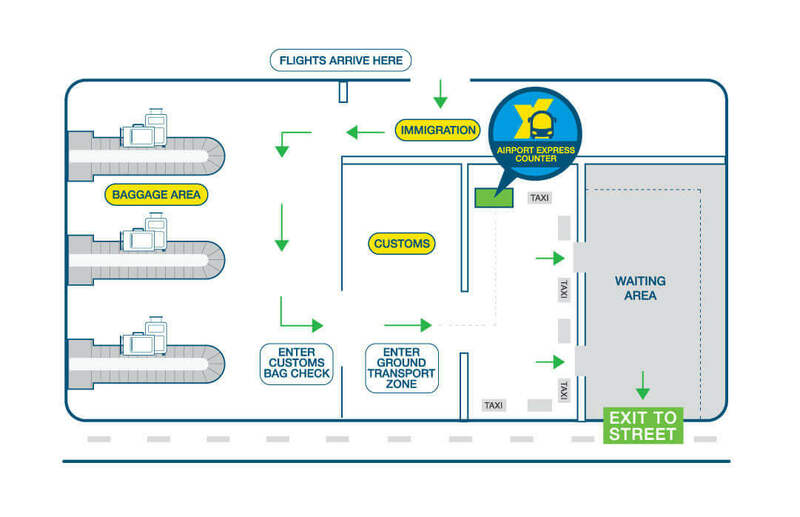 Safety: Lima Airport is located in Callao. This area is often very unsafe, day or night. Our service means you are amongst other travellers on board our luxury coaches, which are equipped with GPS tracking and on-board security cameras. 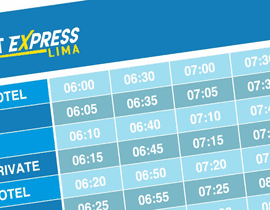 Frequency: Our buses run almost 35 times per day, 365 days per year, ensuring that no matter what time your flight departs from, or arrives to, Lima Airport, there is always a bus ready to take you safely to your destination. 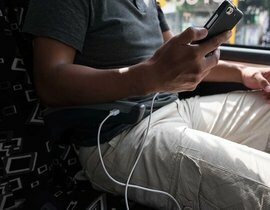 Quality and Comfort: All our buses are equipped with FREE powerful Wi-Fi, USB cable ports, clean toilets and large baggage storage areas with no weight limit. Our reclining seats ensure a smooth, relaxing journey.